Overland Finance specializes in financing automobiles, boats, trailers, campers and equipment. Our installment loans are easy and affordable with monthly payments suited to your budget, regardless of your current credit. With over 28 years of experience in the industry, one of our representatives will reach out to you within 15 minutes of filling out an application during normal business hours. Below is the list of loans we offer at Overland Finance. Be sure to check out the loan you’re in search for and let us know if we can help answer any questions you may have. Looking to make a splash and invest in a boat? We offer boats loans that are perfect for any type of budget or credit. If you are someone who owns horses or has a need for a trailer to haul your stuff, Overland Finance is the place for affordable trailer financing. Got a need for speed? Overland Finance is here to help. Be sure to check out the affordable boat loans we offer in Georgia. Got a big job, let us do the heavy lifting. Overland Finance offers loans with affordable monthly payments suited to any type of budget or credit. Have a large yard that you need help tackling, but cant afford the expensive price tag of a riding lawnmower? No need to worry. Our installment loans are easy and affordable with monthly payments suited to your budget. Need help getting a loan for your car? You’ve come to the right place. Overland Finance offers loans with affordable monthly payments suited to your budget. 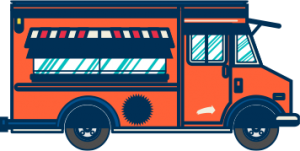 Do you have a dream of owning your own food truck business? Well, Overland Finance is here to help. Be sure to click the link to check out what kind of affordable loan we can offer you. If you’re looking to invest in a recreational vehicle to use for your future family trips, we’re the just the place to start. Check out all of the affordable RV loans we offer here in Georgia. Have an urge to buy a fun, new toy? Well you’ve come to the right place. Overland Finance offers loans with affordable monthly payments suited to any type of budget or credit. Don’t see the type of loan you’re looking for? Let us know! We do loans for many different types of toys and equipment.